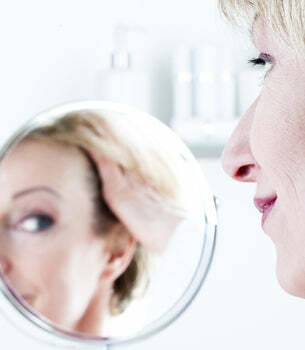 Hyperpigmentation occurs when areas of the skin experience dark patches or uneven skin tone; this is also commonly known as age spots or liver spots. The skin condition appears on different areas of the body including hands and facial areas. Because uneven skin tone is quite common in many individuals, there are different varieties of face whitening products available for treatment purposes. When it comes to choosing the right product it helps to review what ingredients are used in the product to get effective results. Causes of hyperpigmentation may vary depending on the individual. Sun exposure is a common cause due to skin damage from ultraviolet rays. The skin has melanin that acts as a natural form of protection but when it absorbs too much of the sun’s rays, it makes the skin appear darker; a similar effect when you get a tan. Hormonal changes in the body are another cause, especially in pregnant women or those taking oral contraceptives. In some cases, health conditions or medications may cause hyperpigmentation such as birth control pills or drugs prescribed as part of chemotherapy. So how do you know what ingredients are effective when choosing a face whitening product? Face whitening products feature active ingredients that play a big role in the overall product. When they are mixed with other high concentrated ingredients and compounds it becomes potent, while being gentle on the skin. Common ingredients include (but not limited to) vitamins A and C which act as antioxidants helping to protect and enhance skin, alpha-arbutin which helps the skin achieve a lighter skin tone and licorice which has anti-inflammatory properties. Face whitening products such as Clinicians Complex, Dermanew and Ageless Derma Face Whitening Cream are just a few suggestions of cream products that feature quality ingredients while being known for producing effective results. The Clinicians Complex Skin Bleaching Cream is designed to lighten skin while offering a variety of benefits. The product features a variety of ingredients including Bearberry extracts and Kojic Acid which help control melanin production. Hydroquinone is another common active ingredient that is in the product which helps treat discolored skin areas including age spots. You should notice skin lightening within 3 months of use. It’s recommended to apply to clean skin areas twice a day in the morning and evening. The product is also known for promoting prolonged results. The Ageless Derma Face Brightening Cream features cutting edge technology proven to help improve hyperpigmentation in skin. The product encourages radiant skin while treating common issues associated with discolored skin such as age spots and dark patches. Ingredients in the formula include arbutin, a skin whitening agent, belides which is a natural ingredient from daisies to help skin achieve an even tone. Studies on several ingredients have shown major skin improvements within months with the ingredient belides helping to lighten skin within 2 weeks. A special form of vitamin C in the product helps whiten skin, encourage collagen production and reduces melanin production. I have been looking for a good face masque to use on my very sensitive skin so I went online to DrSkinSpa because someone told me they have an esthetician who can help you with your selections. I talked to her and I am so pleased with the recommendation she gave me. I will definitely continue to use this site for all my skin care products. If you want to get a great product and ensure that you have fast delivery as well you should go this vendor. What a great customer service department they have as I needed to resolve an issue and Mike was so helpful and he sent me a gift bag which was a nice gesture from him that I really appreciated.